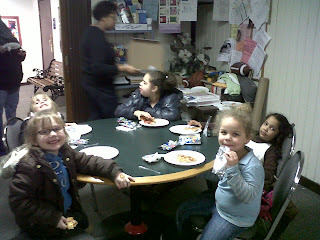 This Saturday (March 27) we will be having a community wide party. The theme is "Do You Feel Lucky?" We will be having dinner, games, prizes and more. I want to invite you to come out and join us. It will run from 6-7:30pm. Everything is free. Hope to see you there. Took 39 kids to Frisch's last night. 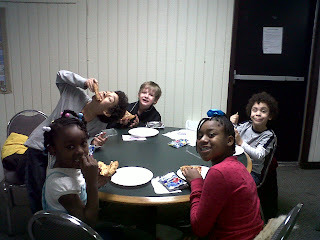 I had 4 famililes comment how well behaved the children were:-) Always a blessing to hear good things about out kids. 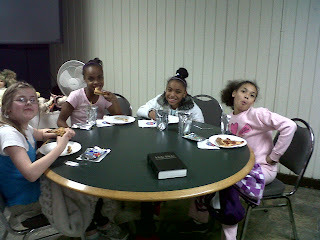 More children and youth continue to join us for Hiding Place and Youth Night on Wednesday nights from 6-7:30pm. 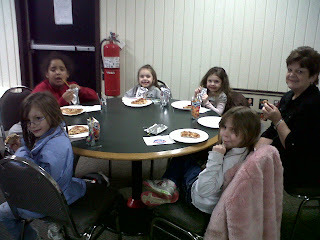 Last night we had 35 kids for Hiding Place and 12 for Youth Night. 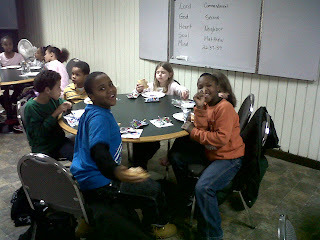 We are reaching these children and youth at a very important point in their lives. Please pray for the children and youth that are attending - that they will not only see Christ, but that they will be drawn to Him. Pray for the current volunteers - that we will display Christ in a way that is worthy of Him. Pray for more people to have a desire to reach out to these children and youth - we are in need of additional workers to help.